Ready to save time and effort with your house plants? These handy indoor garden supplies can help. Your house plants bring joy to your life, add beauty to your home -- and even clean the air you breathe. While you enjoy tending a profusion of potted plants, indoor garden supplies can help you out from time to time. Here are some user-friendly products that will help you shed some light, save time watering, and prune your plants with almost no effort. Check out these indoor garden supplies. After all, who can't use a few helpers around the house? 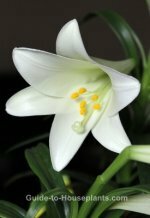 Are your house plants getting enough light? If they're "reaching" toward a window with long, spindly stems, and have long spaces between the leaves, they're not getting the light they need for photosynthesis. That's how plants transform light into the energy they need to grow. Using a light intensity meter is the only surefire way to get an accurate measure of natural light near your windows. Artificial lighting can supplement natural sunlight by providing the type of light plants require for photosynthesis. These grow lights for plants may work magic, helping your house plants to grow lush and full. Give your small house plant all the light it wants, year-round. A compact footprint makes this Hydrofarm Desktop Plant Light a go-anywhere grow light, ideal for a side table or shelf. Features a full-spectrum bulb to mimic sun's rays. I love this feature: the height is adjustable so you can put the light closer to flowering plants, herbs or seedlings. Plus -- you'll appreciate the built-in tray to protect your table. Hand-forged in Holland, the Lifetime Mini Trowel has a blade made of the finest high-carbon boron steel. And it's sized just right for tending houseplants, seedling trays and dish gardens. If you've ever used a trowel stamped out of thin, cheap stainless steel, you can appreciate the quality of this one. It'll never bend or break. That's not just talk--it's backed by a lifetime guarantee. Eliminate pests and fungus on your plants with Safer Brand 3-in-1 Spray . This organic spray works as a fungicide, insecticide and miticide to control aphids, mites, mealybugs, powdery mildew, black spot and other things that are bugging your plants. Use it on your house plants -- plus, outdoor bedding plants, perennials, veggies, shrubs and trees. You won't mind pruning tasks with these small, easy-to-handle Soft Touch Micro-Tip Pruning Snips . Sharp, narrow blades help you to make precision cuts for pruning and deadheading small plants, while the ergonomic, non-slip grip provides comfort for your hands. They're quite a bargain for quality pruning shears you'll actually want to use. Want an easy solution for adding humidity around your tropical plants? Place your plants on this Humidity Drip Tray with Pebbles . The pebbles keep your plants above the drainage water. As the water evaporates, it increases the moisture in the air around them. This tray is a simple and low-cost way to give indoor plants the humidity they crave. House plants rely on us to meet all their watering needs. Without water, they'll die. 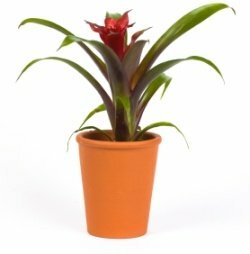 Even a short time without it will cause stems and leaves to droop and leaf edges to turn brown. Overwatering is even more common and kills more plants than anything else. Soggy soil can cause root rot, leading to limp stems and yellow leaves. How do you know when it's time to water? Sticking your finger in the soil is one way to tell. However, the finger method won't allow you to feel moisture deep in the pot, where most of the plant's roots are contained. The most accurate way to gauge the amount of moisture is to use a plant moisture meter. It's the best way to take the guesswork out of watering. And, it may save your plants. Need an indoor watering can? Pretty and practical... functional and fun... you'll find a watering vessel here to suit you and your house plants.